I don’t know who a “Disney person,” is, but I’ve been told that it’s not me. More than one friend, for instance, asked with surprise why I planned to visit Disney World while staying with a friend in Orlando. “You don’t think black people go to Disney?” I joked, trying to deflect the sting of their skepticism. My demographics underscore his incredulity. I am single woman in her 40s with no children who lives in the Mexican Caribbean. If my Instagram account is to be believed, I spend most days feasting on an endless banquet of sumptuous meals and delicious cocktails while lazing about on powdery-white, beaches and gazing at a glittering, azure ocean. Okay, so maybe he has a point. However, if I am not a “Disney person,” who is? The castle from my last trip to Disney World. Unlike most people who visited the parks as a child, I came to Disney World later in life. I grew up in southern New Jersey in the 1980s in a family of modest means. We vacationed at affordable places like the Poconos and the Jersey Shore, which could be reached within a few hours’ drive. Yet, I secretly longed to be one of the smiling faces in the Disney commercials – swirling on the Mad Tea Cup ride and posing for photos with Mickey and Minnie in front of Cinderella’s Castle. 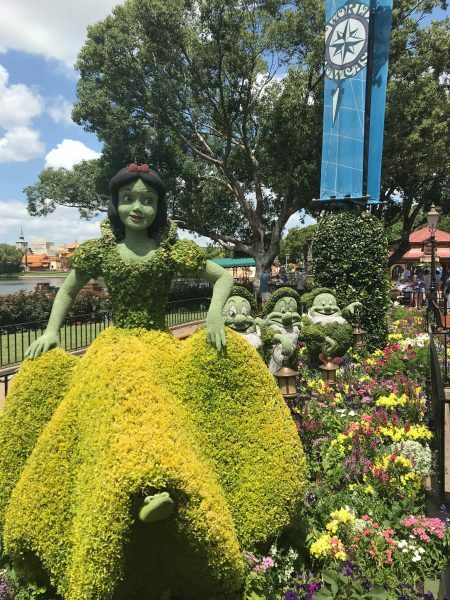 As a teenager, I learned to disdain what I could not have and developed a cynical attitude about Disney that would remain with me until my mid-30s when I met my friend Eve at a single’s Meet-Up. Pretty, blonde, and intelligent, Eve can replace electrical wiring in her home and make the perfect fried chicken with the ease of putting on lipstick. She is a single mom and a computer software engineer whose talent and expertise command a high salary. 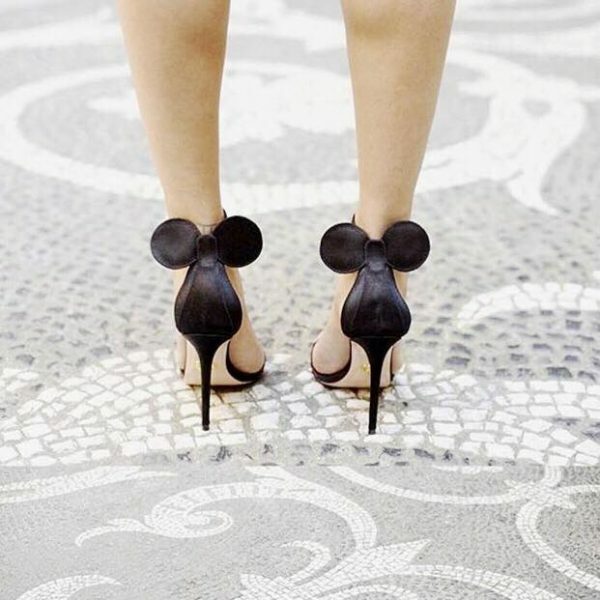 Fabulously fun Mickey Mouse heels. Twice a year, she and her sons schlepped from North Carolina to Disney in her grey Subaru. Sometimes, she visited the parks alone for a weekend escape. The family has ventured on a Disney Cruise. 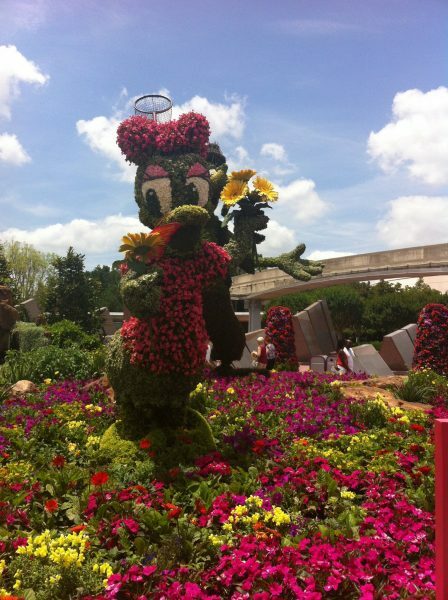 Disneyland Park was on the itinerary when she recently traveled to Paris. 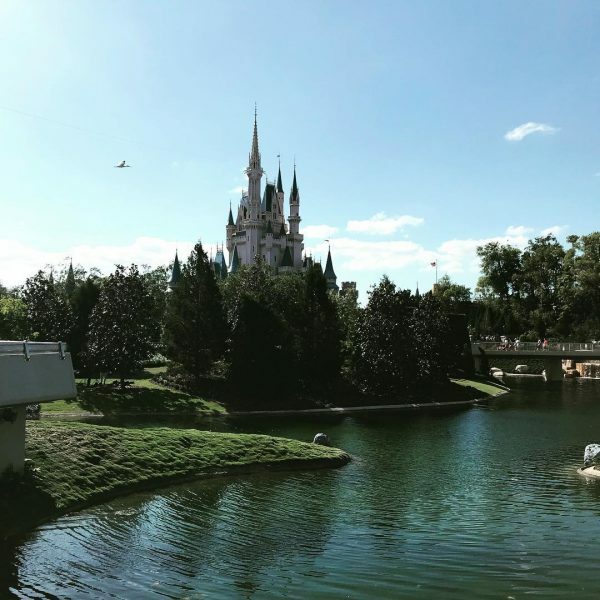 From these trips, Eve gained a vast knowledge about how to get the most of a Disney experience – the best times to visit the parks, the construction status of new attractions, how to get the best deals with Disney Dollars. Eve also never physically ages, which I can’t help but think is related to her Disney pilgrimages. One day, I finally asked her what was up with the Disney love. Feeling that maybe I could use some of that wonder after having lost my job earlier that summer, Eve invited me to spend a week in January 2012 with her and her sons at Disney World. My first trip to Disney at nearly 40-years-old felt like the “squee!” heard ‘round the world. I posed triumphantly (albeit sans Mickey and Minnie) in front of Cinderella’s Castle. I giggled as I twirled on the Mad Tea Cup ride. I sang “It’s a Small World” as we floated through Holland, Thailand, and Mexico in dazzling procession. I screamed as we raced through Space Mountain and was lulled into deep contemplation about the evolution of western civilization as Judi Dench’s narration explained significant milestones in human communication. I was there for all of it – the rides, funnel cake, screaming children, serpentine lines, heat and relentless cheerfulness. Visiting Disney World for those few days exposed me to a near-constant experience of delight and surprise at every corner. Each ride was an opportunity to escape the cynicism and weariness that plagues adults and drop into a child-like glow of fascination and play. Health care research supports this. Play often generates laughter, which has been linked to lower stress and inflammation and improved vascular health. Playing with problems at work also stimulates creative problem solving, according to Dr. Bowen White, a physician and founding member of the National Institute for Play, a nonprofit that supports research into the power of play. I have returned to Disney World twice since my original visit in 2012. Both were to spend time with Eve, who now works at Disney as a Senior Software Engineer. Coincidentally, my visits also have been during times of personal and professional crisis. I use my time at the theme parks to visit old favorites like the Haunted Mansion and Soarin’ or discover new ones like the Avatar Flight of Passage, 3-D flight simulator. Each time I return from Disney feeling more relaxed, rejuvenated, and ready to tackle the issues at hand. I don’t know if such experiences make me a “Disney person,” but they make me a happier one. And maybe that’s all that matters.